Here at Noble Roofing our concept is simple, construct the highest quality roofs, period. We are fueled by our commitment to excellence and go the extra mile to make sure our clients are completely satisfied with our work. Our specialized roofing practices have insured that we provide the highest quality results in the most efficient way possible. 80 Commercial Roofing is the number one roofing contractor of choice among industrial property managers and commercial building owners throughout Eastern Texas. From restoration to repairs to complete roof replacement, 80 Commercial Roofing does it all. We deal with every type of roofing material, focusing on bringing our clients quality workmanship and durable, long-lasting protection. 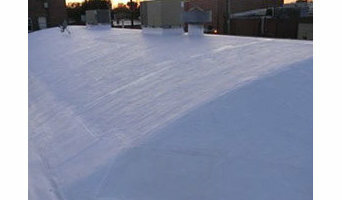 If you are in need of commercial roof services in Eastern Texas, call the experts at 80 Commercial Roofing. We offer free, no-obligation inspections and 24/7 emergency services. And we are so confident you’ll have a great experience, we offer a satisfaction guarantee on every job we do. Yepez Commercial Roofing offers premium residential, commercial and industrial roofing services throughout the Dallas metro area. As a full-service contractor we specialize in roofing repairs, replacement and restoration as well as siding and gutters! Yepez Commercial Roofing serves the great state of Texas. Our immediate areas of service include Dallas, FortWorth, Mansfield, Plano, Irving, McKinney, Denton, Frisco and the surrounding communities. ASAP Roofing Palestine, TX is the most professional commercial and residential roofing contractor. ASAP Roofing professionally repair or replaces roofs and rain gutters. ASAP Roofing services residential and commercial. ASAP Roofing replaces or repairs roofs and construction. ASAP Roofing professionally creates and installs seamless rain gutter also. 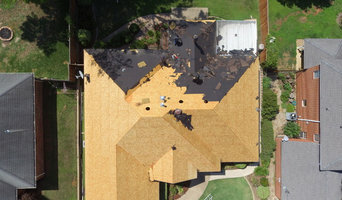 ASAP Roofing offers free roof inspections and estimates.